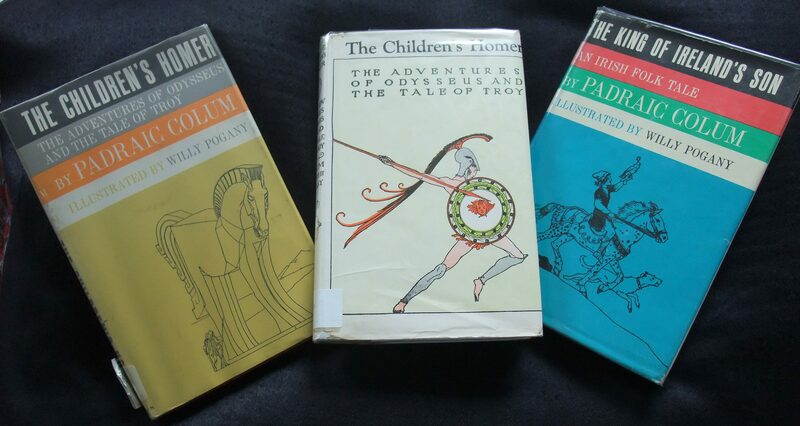 Willy Pogany (born Vilmos Andras Pogany) was a prolific contributor during the Golden Age of children’s book illustration, whose career broadened from children’s book illustration to portraiture, set designs for opera and ballet, and in the 1930s and 1940s he became Art Director for several Hollywood films. 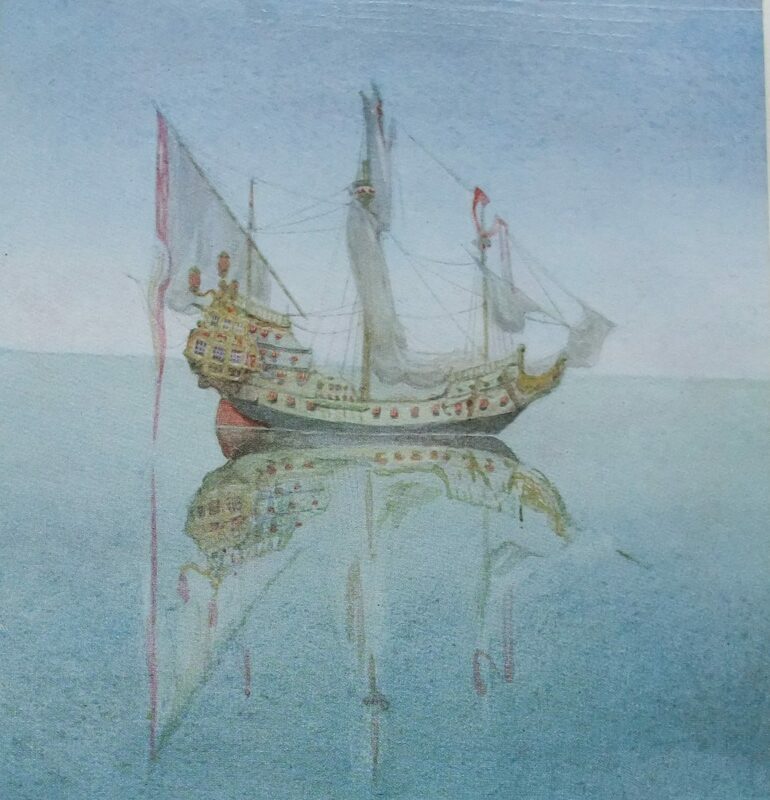 Pogany’s early book illustration style included warm scenes in watercolours and oils as seen in The rime of the ancient mariner. His pen and ink drawings were more varied including elaborate title page graphics, ornate capitals, extensive botanical details, and motifs of mythical animals. Much later in his career his unique interpretation of Lewis Carroll’s ‘Alice’ with bobby socks and pageboy haircut was a stunning development. 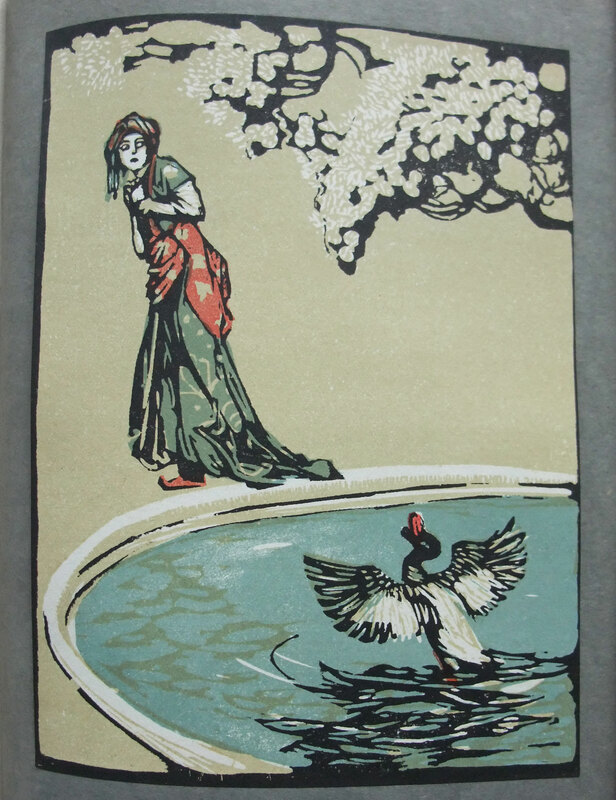 Pogany was born in Szeged, Austria-Hungary and spent his early childhood on the family farm. Initially he aspired to become an engineer and attended Budapest Technical School for less than a year. During this time he took art classes for six weeks which inspired him and subsequently he decided to become an artist. He attended art school in his early twenties then traveled to Munich, Paris and London. 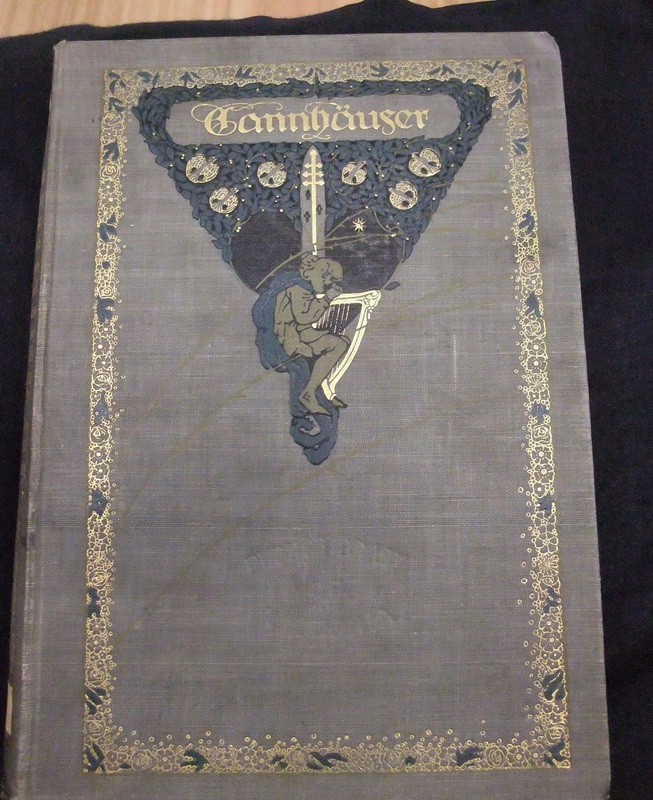 Internationally the children’s book trade expanded with the development of gift books, initially sparked by Arthur Rackham’s Rip Van Winkle which became a huge commercial success in 1905. 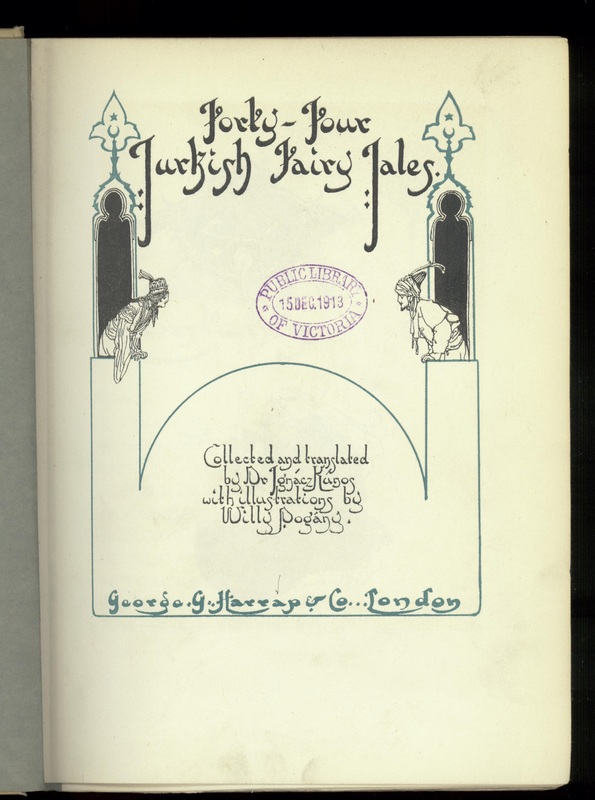 This meant that in London in particular, artists were actively sought to illustrate well known verse and fairy tales in gift books tailored to showcase their work. 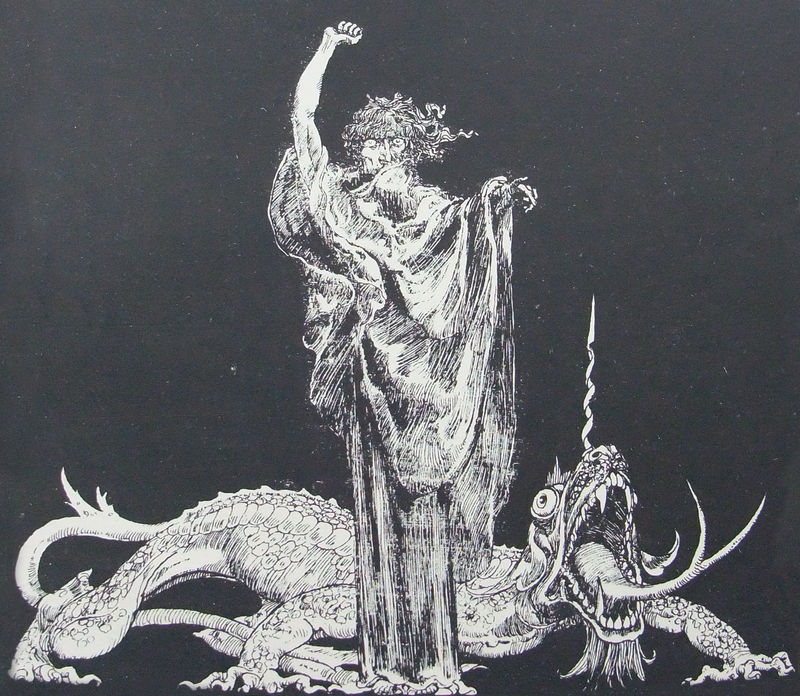 Encouraged by this, Willy Pogany remained in London for 10 years from 1904 to 1914 and in 1915 emigrated to America at the age of thirty three. 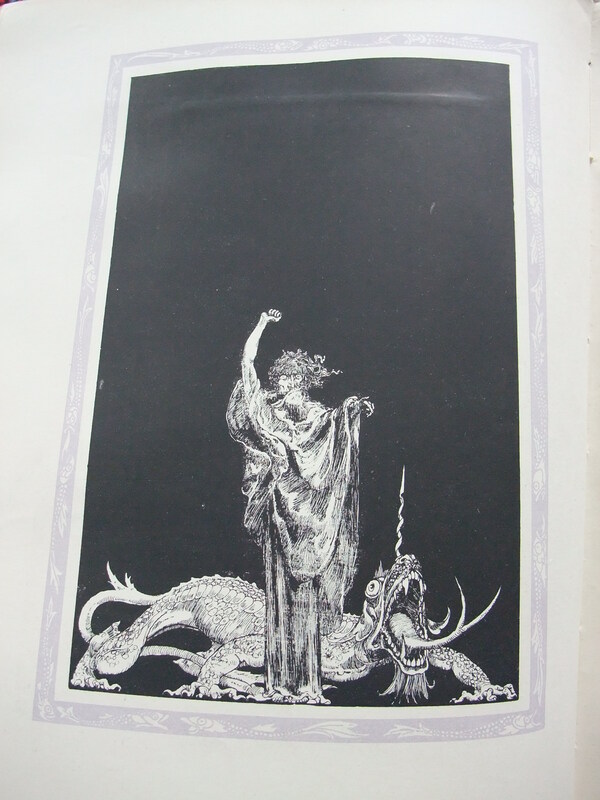 Pogany is credited with a quartet of masterpieces each published in the gift book format: The rime of the ancient mariner (1910) ; and Wagner’s Tannhauser (1911), Parsifal (1912), and Lohengrin (1913). 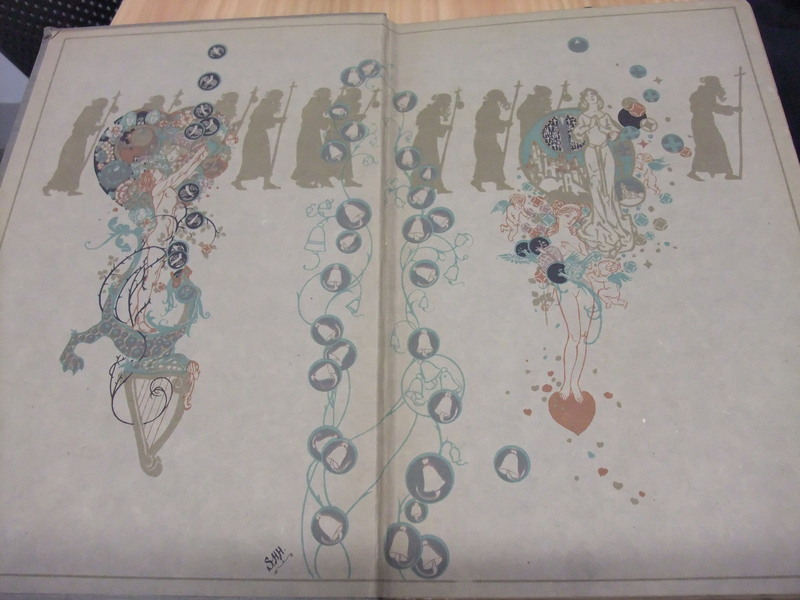 Each was completely designed by Pogany including the cover, endpapers, pen and ink calligraphic text, and the pencil, wash and colour plates. 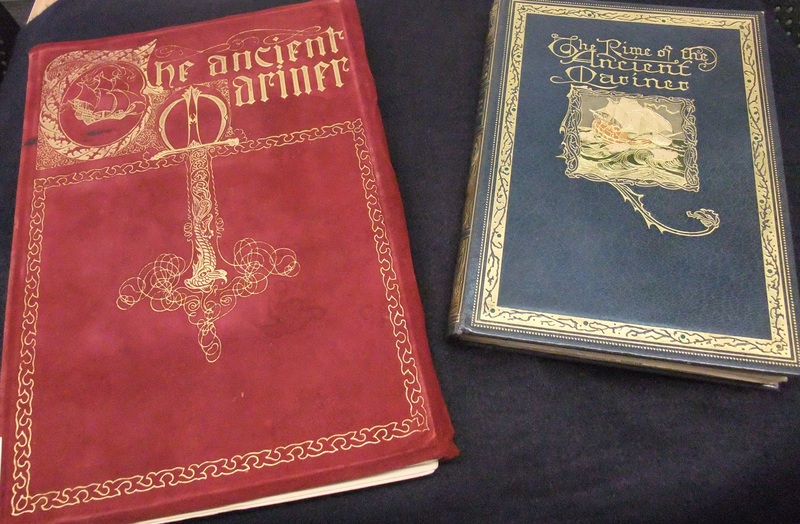 The rime of the ancient mariner was issued in a leather bound limited edition in red (shown above), a trade edition, and a smaller format edition around 1926, in blue (also above). 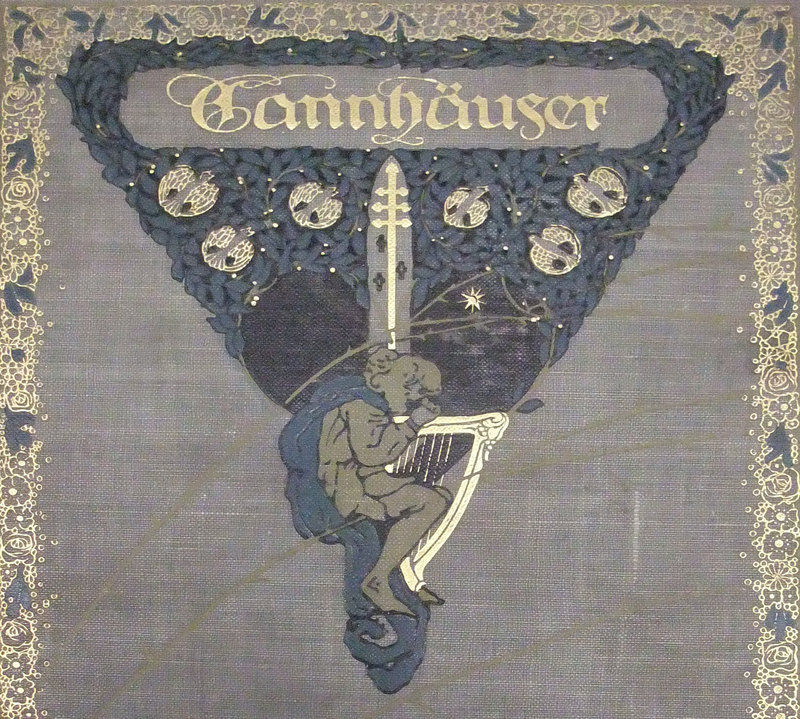 The title page of the limited edition is illuminated. 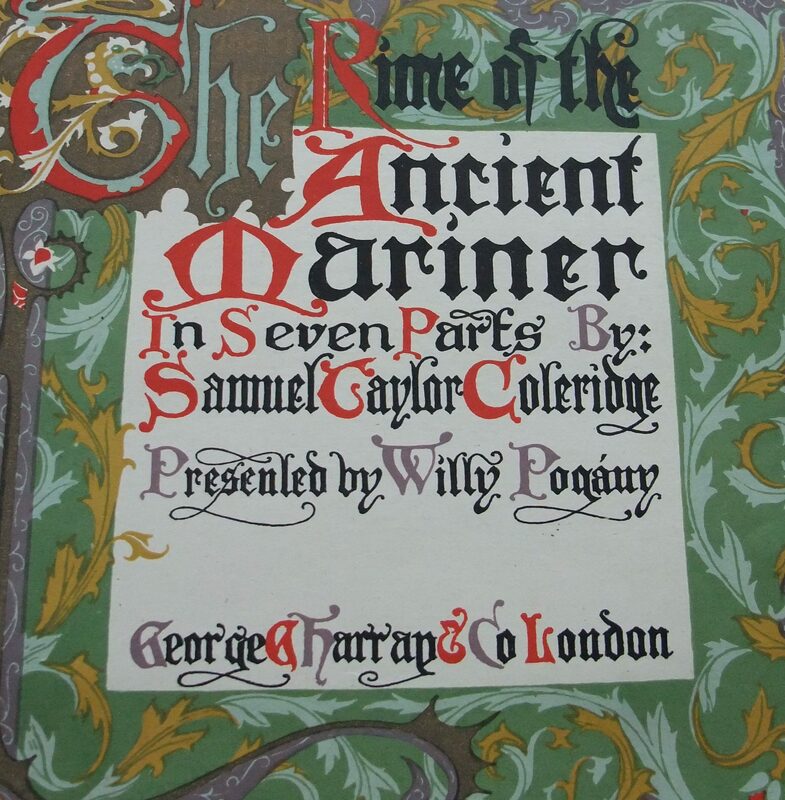 The initials that begin each page of text are intricately elaborate, followed by simple ornate capitals for each line, and a coloured or black and white plate opposite. In Tannhauser Pogany uses coloured paper to add dimension to his soft pastel drawings, watercolour paintings and pen and ink illustrations. 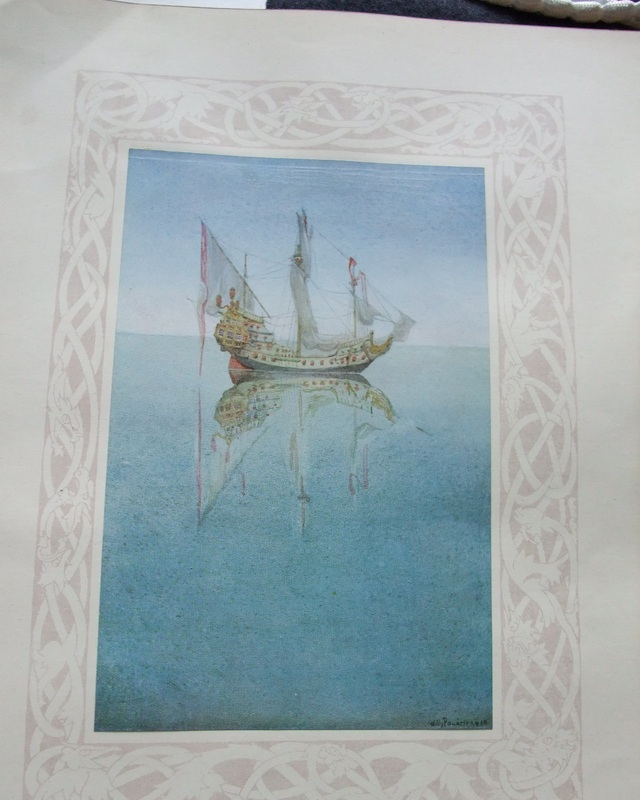 Earlier than the quartet but just as sumptuous, was Pogany’s Rubaiyat of Omar Khayyam with coloured tipped-in plates, and calligraphy throughout published in 1909. 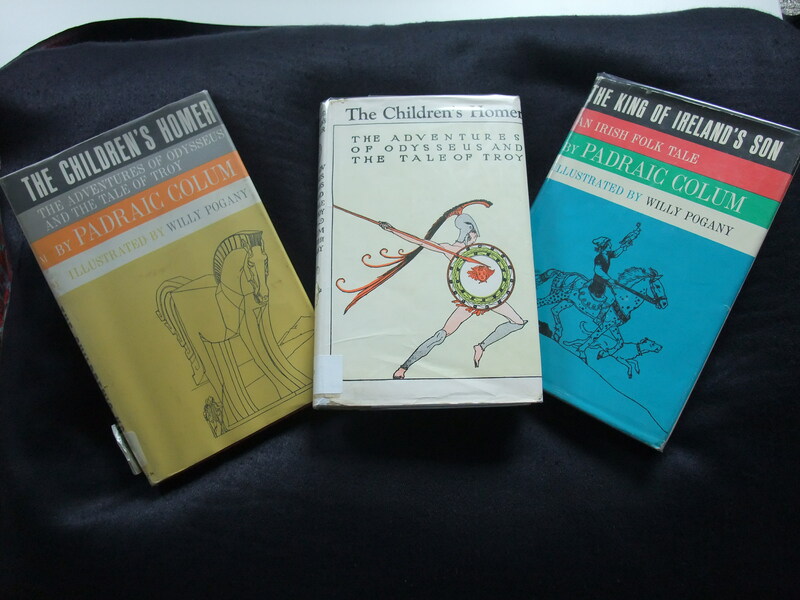 Though he published with a number of British publishers while he resided in England, his collaboration with George Harrap produced very memorable works for children. 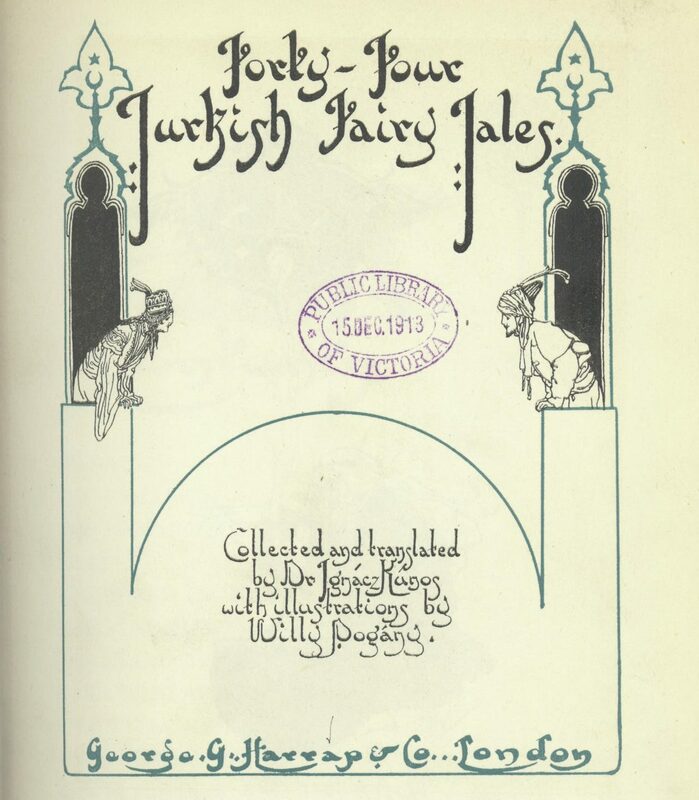 A collection of Turkish fairy tales illustrated by Pogany, and compiled by Hungarian born linguist Ignac Kunos (1860-1945) was first published in 1913. Kunos pursued his interest in the Turkish dialect and cultural traditions through his travels around the Turkish countryside. 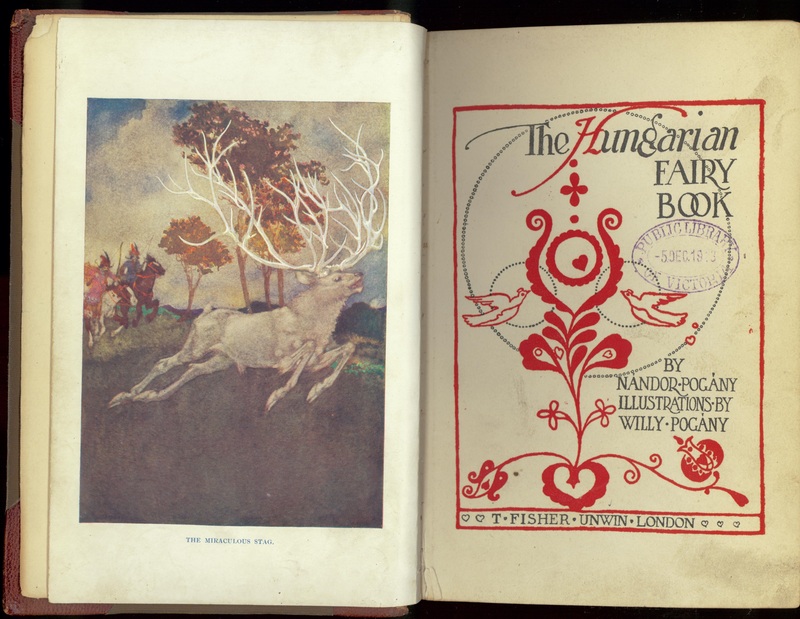 He collected several volumes of fairy tales in this way. 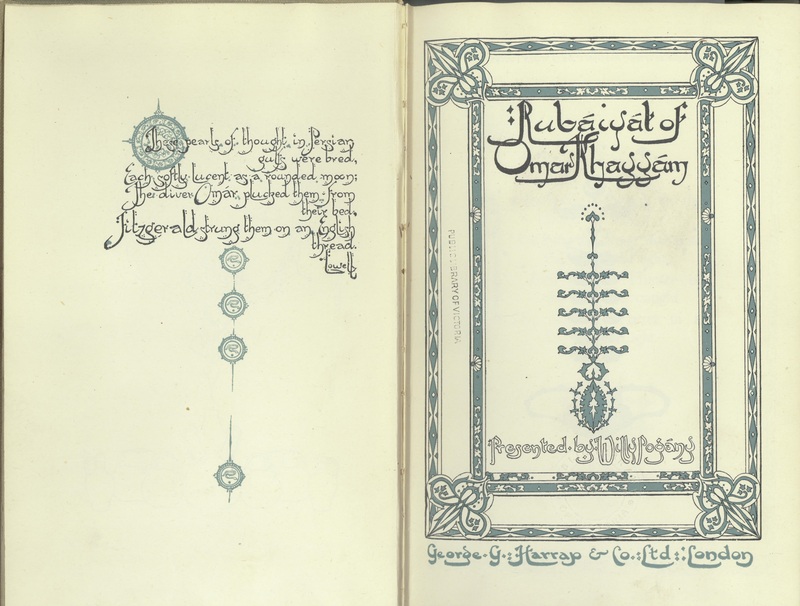 The graphics in Forty-four Turkish fairy tales (1913) appear on every page with titles and initials in quasi Arabic script and the sixteen tipped-in four colour plates are comic in nature. 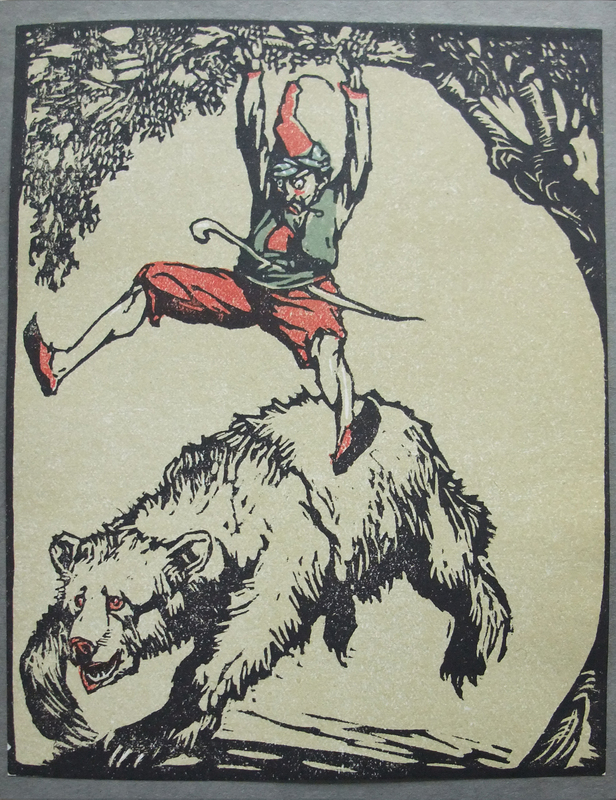 Again in 1913 The Hungarian fairy book was published with the text compiled by his brother Nandor accompanying Willy’s illustrations. 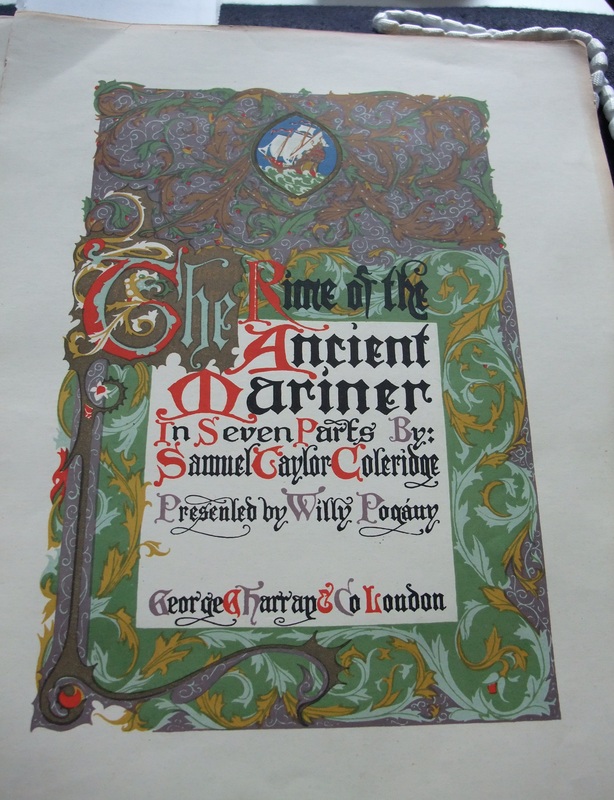 The title page shown here places Pogany’s coloured artwork opposite the botanical decorations adorning the bordered text. In 1929 Willy Pogany created his own version of Lewis Carroll’s ‘Alice’ from the famous books Alice’s adventures in Wonderland (1865) and Through the looking glass and what Alice found there (1872). 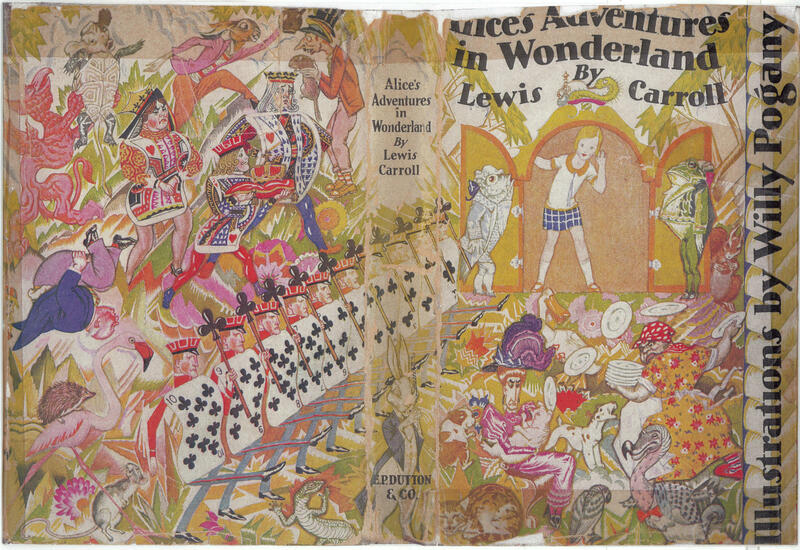 The dust jacket shows Alice’s wonderment at the full range of characters assembled. 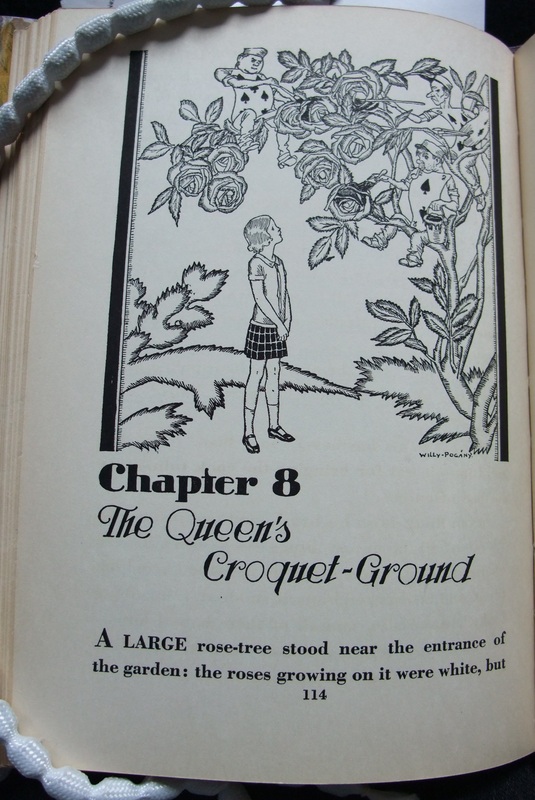 The black and white drawings in each episode clearly bring Alice from her nineteenth century iconic Tenniel standard into the early twentieth century. 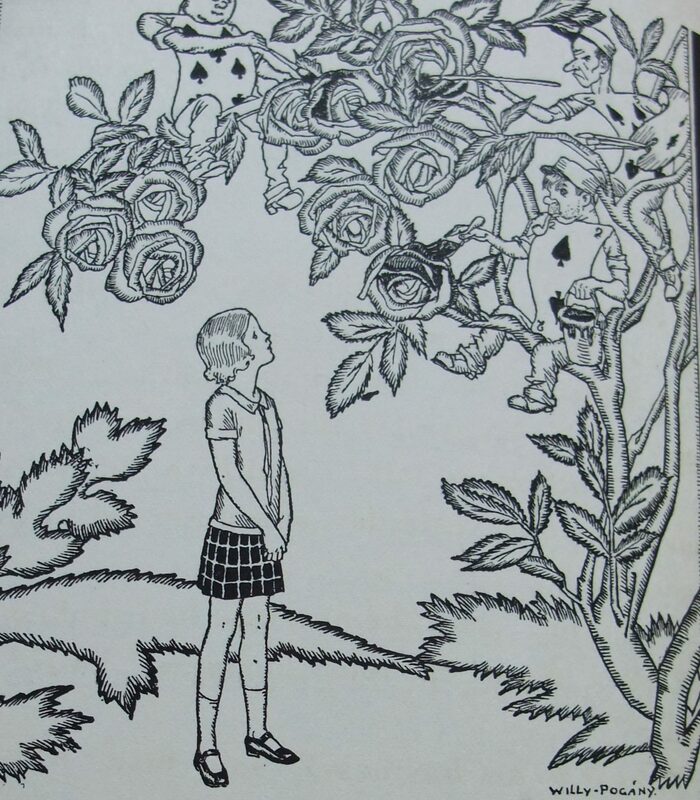 In America Pogany’s murals adorned the Heckscher Children’s Theatre in New York, the Niagara Falls Power Station and the Ziegfeld Theatre in New York which was adorned with a forest and floral motif covering two walls. The Heckscher murals featured characters from children’s fairy tales including Cinderella, Hansel and Gretel and Jack in the Beanstalk. In the early 1990s the Heckscher became part of El Museo del Barrio when the 599 seat theatre and Pogany’s murals were restored. His portraits in the latter part of his life included motion picture stars Miriam Hopkins, Anna May Wong and Carole Lombard and other socially prominent women. His scenery designs, lighting effects and sets were made for ballets and operas including “Le Coq d’Or” and many films including Modern Times for Charlie Chaplin as well as animated cartoons based on his children’s books.